Despite there being no belts on the line, there is still plenty at stake in the bout between Russian kickboxing prospect Vladimir Mineev and his French rival David Radeff, known as “The Machine”. 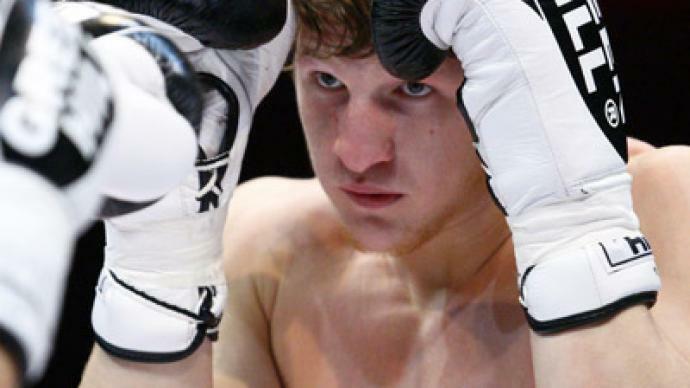 ­Mineev is very serious about becoming aiming Russia's next Tiger on the canvas. The 22-year-old heavyweight kickboxer has already collected all the major titles in his homeland, along with capturing a selection of European and World Championship belts. In March 2011, at the Fight Nights showdown in Moscow, Mineev knocked out Abdeslam Narjiss. But it was just a warm-up clash, as the top-of-the-bill event featured fearsome Russian star Batu Khasikov and K-1 legend, Albert Kraus. A year on, Mineev is set to play the lead as he will take to the ring for the main event of Fight Nights 6. On Thursday, the man from the banks of the Volga River will face a force from France – David "the Machine" Radeff. Both fighters could have brought a lot to the table. Radeff won the WBKF world crown in 2010, while Mineev wrapped the WAKO-pro championship belt around his waist in 2009. But Moscow will not see a title bout, just a good old fashioned scrap with a few scores to settle. Especially, after Radeff kicked Mineev's good friend Evgeny Ganin after the bell, handing the Russian a serious knee injury back in October 2010. There is plenty of build-up for the grudge match, though. Ahead of the fight, Radeff remains as cool as a proverbial cucumber. “Sometimes you think the guy is really, really tough, and he's not so tough. Sometimes you expect the guy to be just average, and it’s just ‘wow!’ It depends,” he added. Meanwhile, Mineev has an ace in his pack – Batu Khasikov – the man, who made headlines last year defeating two K-1 giants Albert Kraus and Mike Zambidis. Only Thursday’s action will now tell whether Khasikov’s guidance worked or not.